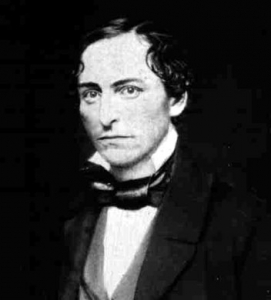 Herbert Whiting is known as the father of Whiting. He was a train conductor for over fifty years employed by the Lake Shore and Michigan Southern Railroad. “Pop” Whiting, as he was affectionately called by the boys who ran the trains, conducted many trains from Chicago, Illinois. On one such trip, Herbert Whiting was an engineer pulling freight in and out of Chicago. He was pounding down the tracks with a heavy train, trying to make a certain siding to get out of the way of a fast passenger train that he knew was booming along behind him. The speed of the passenger train was too much for “Pop” Whiting and he had to ditch his entire train, doing it in a manner so that he left the passenger train as clear a track as if he had pulled in on the desired siding. 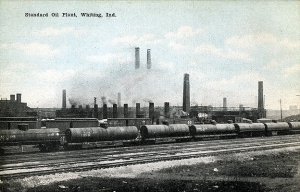 According to the 1901 Whiting City Almanac, “The company built a siding to avoid similar accidents and called the place ‘Whiting’s Siding’ or ‘Whitings’.” In 1889, when Standard Oil came, some of the office men objected to the awkward final “s” of Whitings, and succeeded in changing the word to its present form. Before the arrival of the Standard Oil Company the population of Whiting was too small to justify its incorporation as a town. During this time, most of the settlers were law abiding Germans, who had no need for local municipal government. But, as more and more people came to construct the refinery, a local government also needed to be constructed. According to the Calumet Region c1959, “A municipal government was also needed to provide the citizens with an adequate supply of pure water, a sewage system, streets and sidewalks, and protection against fire.” In 1892 the first effort was made to incorporate Whiting as a town. The territory proposed covered from the Indiana Harbor Ship Canal westward to the Indiana-Illinois state line and lying north of Berry Lake, Lake George, and Wolf Lake. This attempt was squashed by Standard Oil, who deprived Whiting of a golden opportunity to become one of the largest cities along the southern shore of Lake Michigan, fearing an increase in their taxes. During this time both the cities of Hammond and East Chicago attempted to annex all of Whiting. Three years later, Whiting was incorporated as a town, with Rheem Curtis, Clark Schrage, Saltwedel and Humphrey as members of the town’s board. 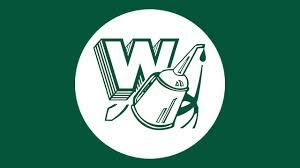 In 1903 the population of Whiting boomed to over 4,000 people and was finally incorporated as a city. Many improvements were made once a municipality was in place. According to the Whiting Sun, “The wooden sidewalks having become worn were a continual menace to life and limb. Many miles of them were replaced with cement walks, streets that were uneven were rounded up and topped off with cinders; new sewers were built and there were many shade trees set out and the citizens, by the offer of prizes, were encouraged to cultivate flowers and shrubbery, so that the city gradually lost the appearance of a frontier mining camp and took on a garb of verdure and neatness that had made it the best residence town in the Calumet Region.” One of the early neighborhoods in Whiting was called “The Village.” “The Village” covered the area between New York and Ohio avenues north of 119th Street. Standard Oil originally built the homes for company department heads, foremen and still men. This neighborhood separated the administration from the common laborers who lived south of 119th Street. 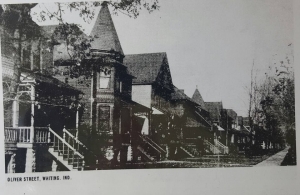 Oliver Street, reserved for some of Whiting’s elite, was an area known as “Millionaire’s Row.” “The Village” and “Millionaire’s Row” also separated the upper class from the many saloons and brothels of the Oklahoma district.